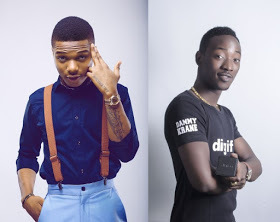 Can you all remember The Beef Between Wizkid and Dammy Krane? Well, in the early hours of January 15th, 2016 the pair reportedly fought at Quilox Club. According to a source, Dammy Krane and Wizkid were sitting ont he same table at the club and Dammy made comments that Wizkid didn’t like and before anyone knew it he was punching Dammy repeatedly on the face. Dammy is said to have thrown a bottle at Wizkid but fortunately it missed him. Other people at the table got involved and separated the fight. The two artists are yet to comment on the incident. Why will you have beef with someone then go to the club and share a table with them? Next articleOmg hahaha! Any Idea What is Going On Here?